When I wore this (thrifted!) jacket home from taking photos the other day Knox greeted me so sweetly. He immediately let out an "ooo ooo ooooo!" and reached out to pet me. He has always loved soft and furry things more than my other boys ever did so it melts my heart when he reacts that way. He does the same thing when he walks into my closet and see my fur vests or sees a furry hood on a coat at the store. I know where he gets it because I sure love soft things too! 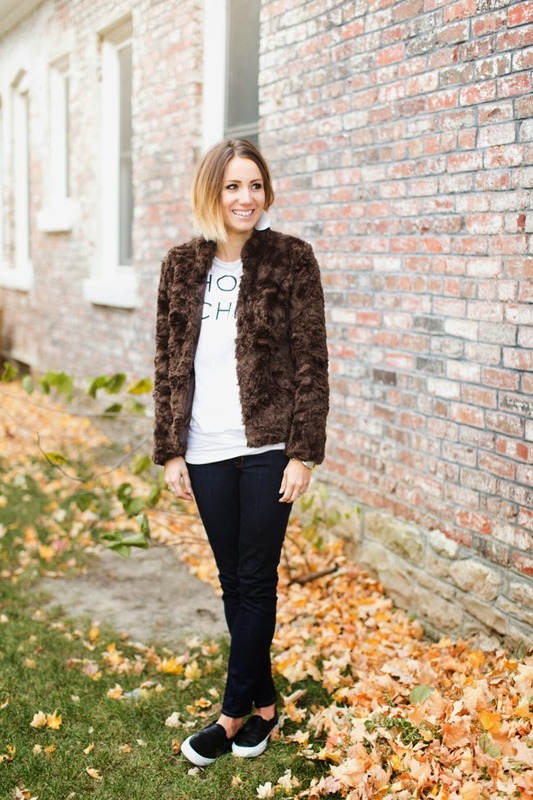 One of my favorite textures to wear is fur and it is everywhere this year. I love fur vests, fur scarves and fur jackets. 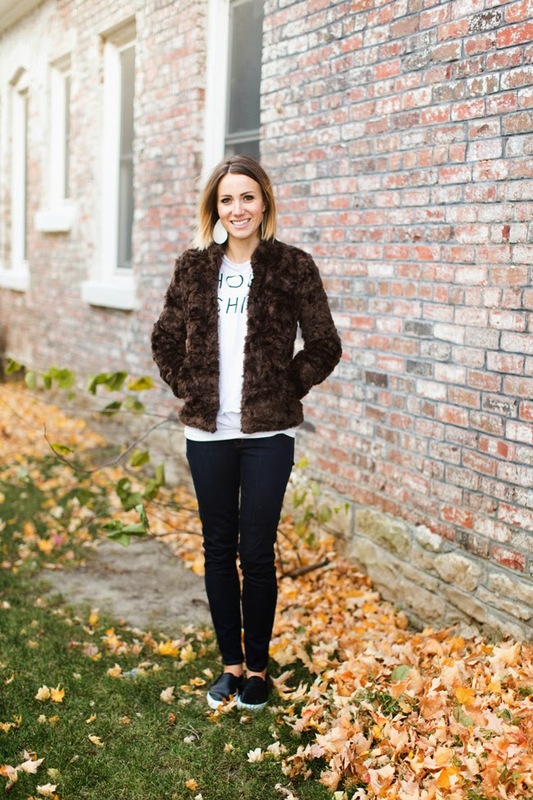 Because fur can sometimes feel too dressy for everyday wear, favorite way to wear it is to pair it with simple and casual pieces. 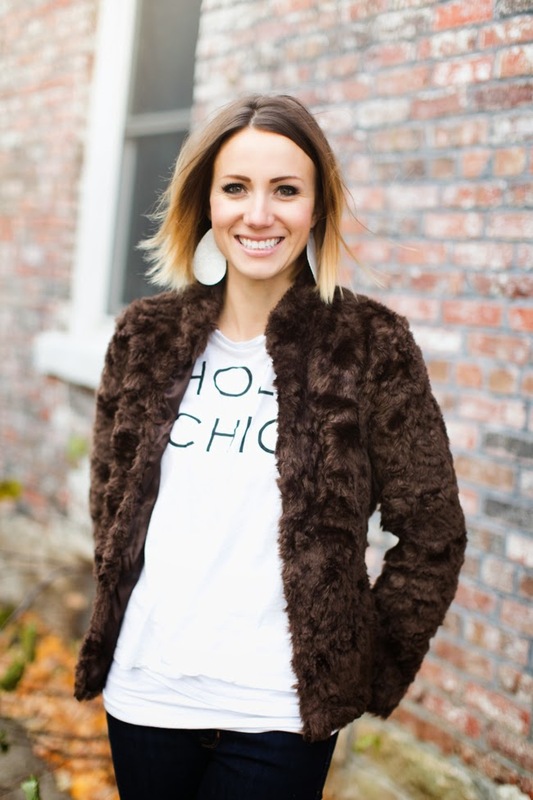 I loved pairing pieces like this fur coat with graphic tees, sweatshirts, distressed denim and slip on sneakers. 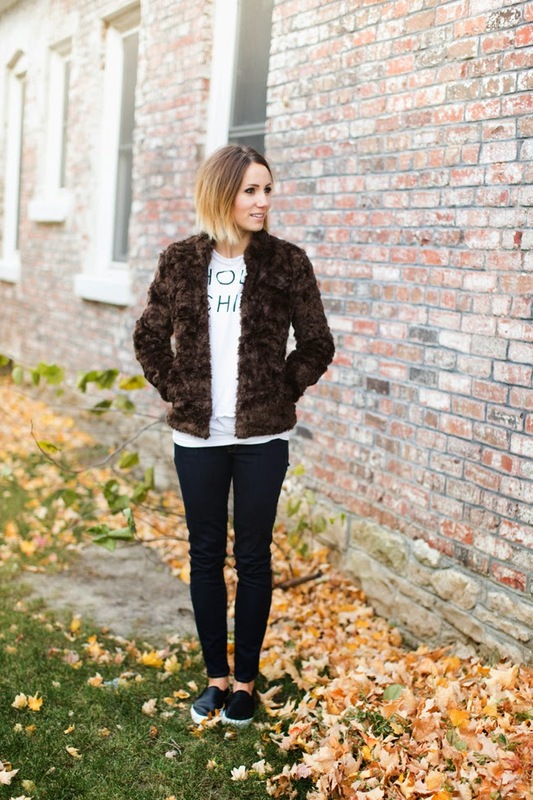 If you are looking for a fur jacket this year (trust me- you are) I've found quite a few that I love. Forever 21 has a huge selection if you want to try the trend for cheap or you can try Nordstrom's selection for a few nicer options. You can see my favorites in the widget below. 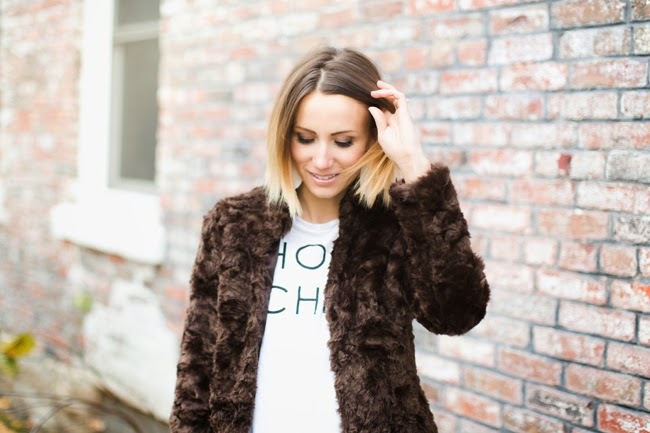 Have you added fur to your wardrobe? How are you wearing it? Love the chic shirt. And the jacket looks so warm!! I have this tee and love it! And, I too am obsessed with faux fur! Now I know how to style both pieces, together, for the coming cooler months. Oh wait, we're there!